17 years ago - Mia Dearden is born. 7 years ago - 10-year-old Mia runs away from her abusive home & winds up in a child prostitution ring. 5 years ago - 12-year-old Mia is saved by Oliver Queen. She starts her counseling, and begins training with Connor Hawke. 3 years ago - 14-year-old Mia discovers that she is HIV positive. Realizing what she needs, Connor Hawke decides that she should become the new Speedy. 2 years ago - 15-year-old Mia joins the Teen Titans. 1 year ago - 16-year-old Mia goes to the Homeworld of the Titans of Myth with all the surviving Titans to save Donna Troy. Roy Harper gives her his old quiver. 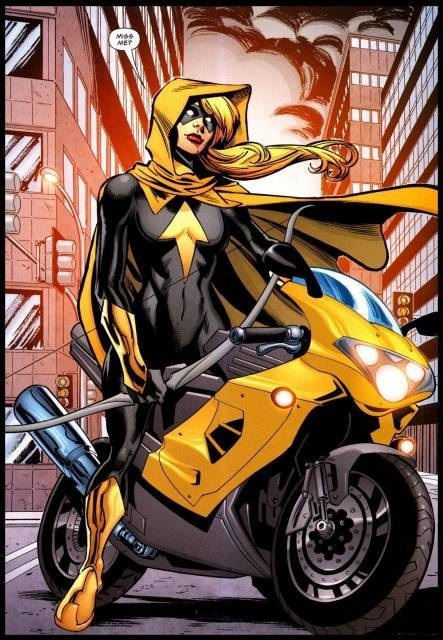 Mia Dearden wasn't specifically created to be a superhero. She was a street kid and perpetual victim as created by Kevin Smith during his extremely popular Green Arrow series that returned Oliver Queen to the book. She was meant to be something that helped return him to himself, a new ward for him to focus on. It wasn't until Judd Winick introduced the idea that she was HIV positive that she was able to convince Oliver to allow her to become a hero in her own right. 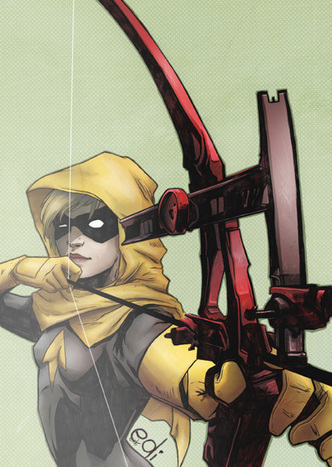 She didn't get much time in the spotlight before she was wiped out of continuity by the new 52, but during that time she became a member to the Teen Titans and a promising new figure in the Green Arrow mythos. It's also really important to point out that Mia is as close as the regular continuity gets to Artemis, a fan favorite character from the Young Justice animated series. Artemis is based on Justice Society villain Tigress. It doesn't really track to include this alternate version of Artemis in a world that already includes Mia, retired hero Arrowette, and a character already called Artemis. Still, Mia is a fantastically complex and likable character and having her on the Titans and on team Arrow is awesome.